At least 10 federally-protected wild horses in the Heber-Overgaard area have been found dead since the beginning of the year. ABC15 reports the remains of seven wild horses were found in early January, followed by three more discovered around January 31. 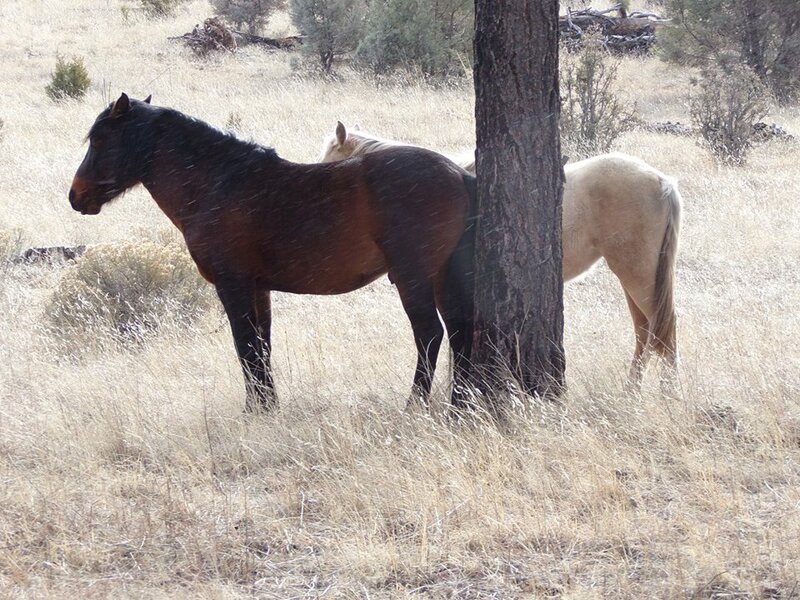 The U.S. Forest Service is investigating how these horses died; the agency has not ruled out gunshots yet. The horses are believed to be part of the Heber wild horse herd. Those horses live on more than 19,000 acres that make up the Heber Wild Horse Territory. The herd is protected by a federal order, and horses cannot be moved from the area. The Heber Wild Horses Freedom Preservation Alliance has started a fund to facilitate a reward for anyone who can provide information leading to the arrest of the person, or people, involved in hurting the horses.